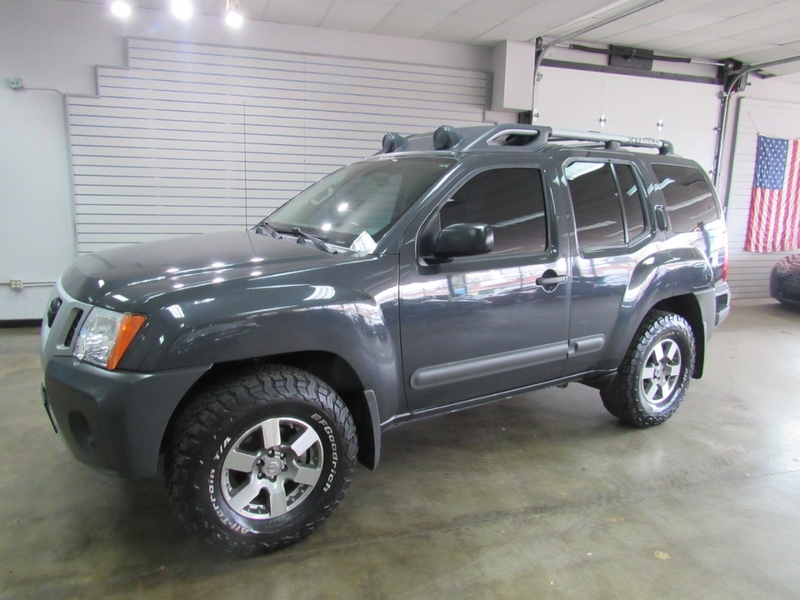 Used 2013 Nissan Xterra Pro-4X 4WD for Sale in Denver CO 80220 Weisco Motorcars, LTD. VERY HARD TO FIND 6-SPEED MANUAL 2013 Nissan Xterra PRO-4x with only 87k miles. Done in Night Armor over Black cloth with nice options like: keyless entry, back-up camera, CD player, power windows, power locks, A/C, and much more. Both the body and paint are in good shape with some small chips in the paint but still looks very nice. Get ready with this Xterra PRO-4x for your summer camping trips or road trips to the lake as it has tow package for bring all your toys with you. Call Weisco Motorcars for more info or to set up a time to stop by for a test drive as this Nissan will not last long.